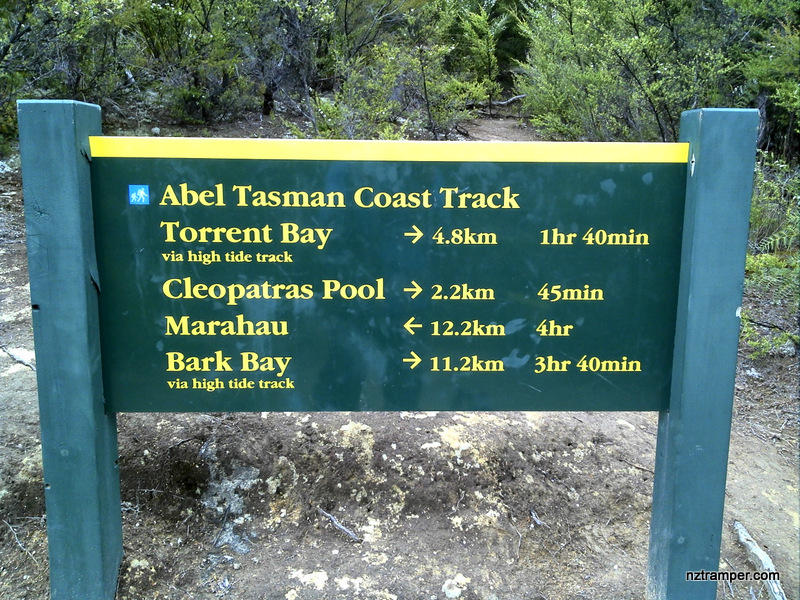 Trails: Bark Bay campsite – Torrent Bay – Torrent Bay to Anchorage via low tide crossing or via high tide track – Anchorage – Marahau end of Abel Tasman Coast Track – Further 1.5km to Marahau Abel Tasman Centre if you park your car there. 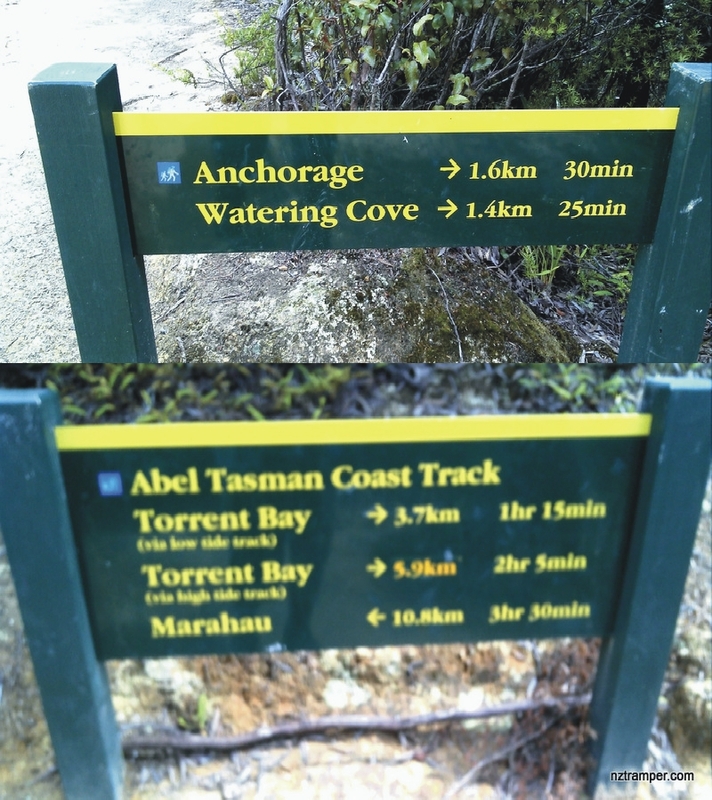 Car Park: Yes on both end of Abel Tasman Coast Track and Marahau Abel Tasman Centre, but no road access on Bark Bay. 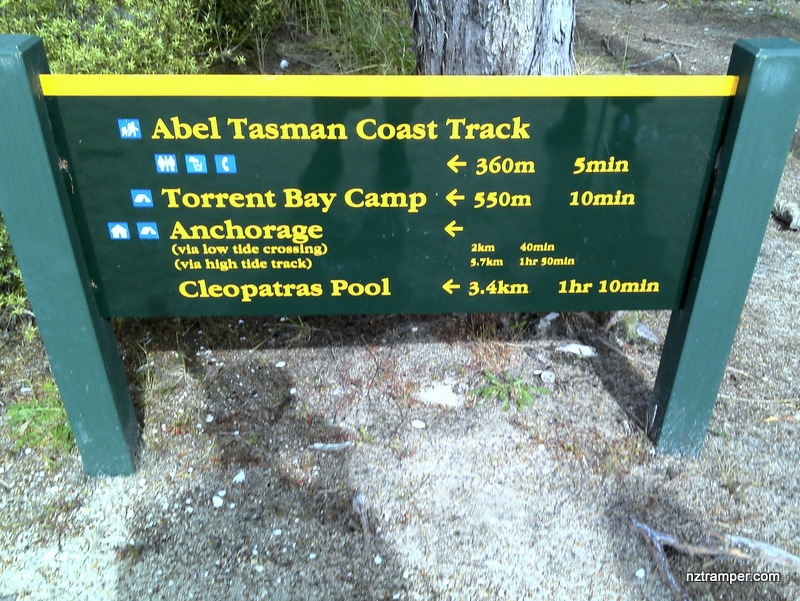 Set “Abel Tasman Centre, Marahau” in your GPS, it’s about 65km 1 hrs drive from Nelson. 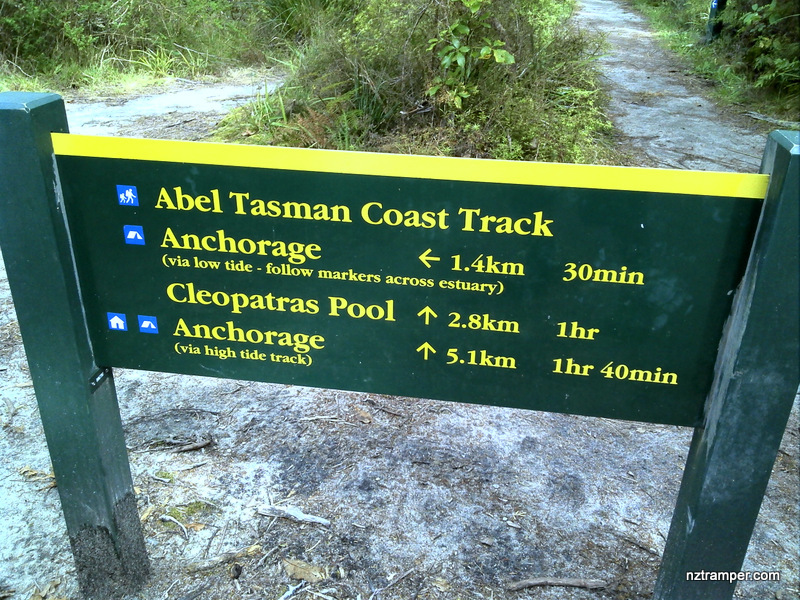 Further 1.5km (Total 23.14km) from end of Abel Tasman Coast Track to Marahau Abel Tasman Centre. The “Total Time” is my time in Jan which includes lunch and afternoon tea time. That day was fine and the track was good. 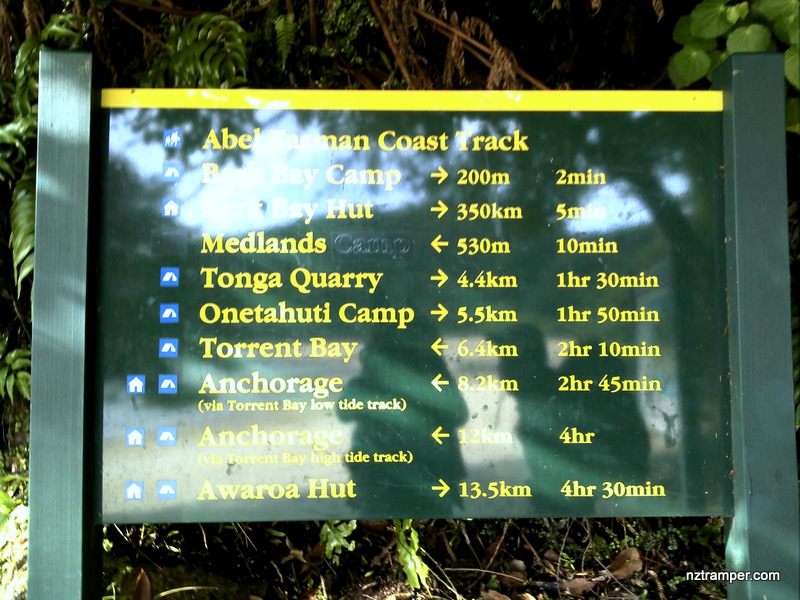 If you walk on average 3.5km/h plus 90 min stop then the total time will be around 7.5 hrs. Think about the time if you carry a big hiking bag. Click this photo below to enjoy more large size photos of this track!